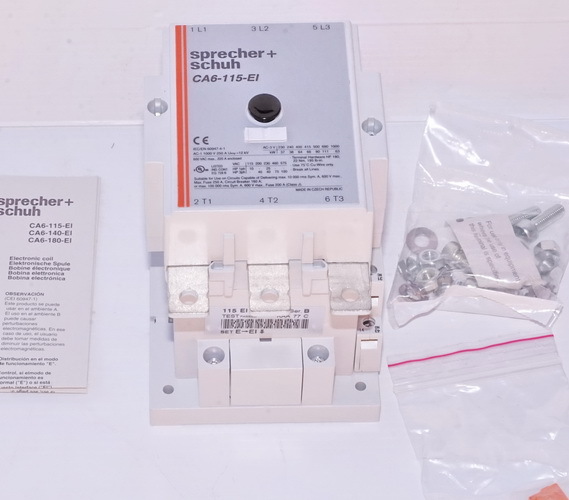 "Sprecher + Schuh’s CA6 contactor line combines the simple function of our popular CA7 series with the rugged performance demanded in this middle horsepower range. On average these contactors are 50% smaller than traditional contactors in this size class. CA6 contactors conform to UL508, IEC 60947 and can be operated at rated voltages up to 600V (UL) and 1000V (IEC). High thermal and switching capacities guarantee reliable operation and long life. CA6 contactors are listed in CSA Certified Elevator Equipment for heavy duty use in elevators, refrigerators and heating installations in Canada."